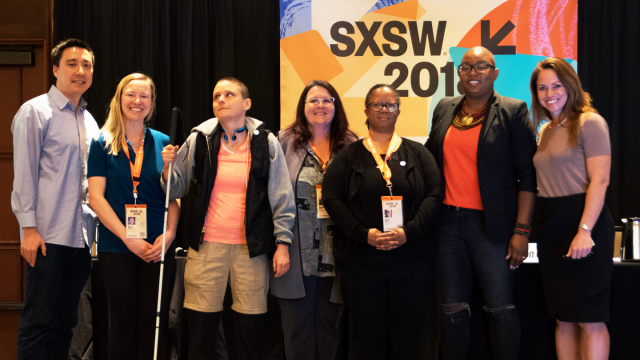 The SXSW Interactive Festival Hall of Fame recognizes those trendsetters whose career accomplishments have paved the future of the new media industry. 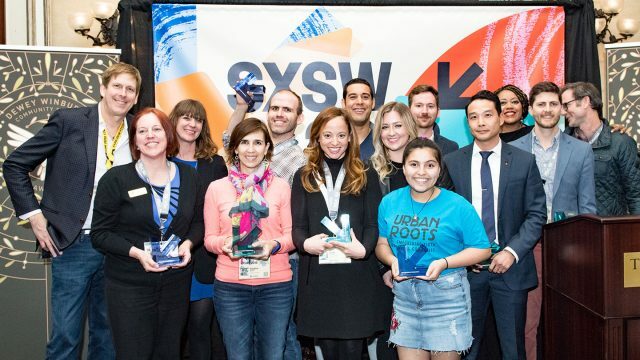 These honorees inspire the SXSW Interactive community with their creativity and hard work in the digital industries. 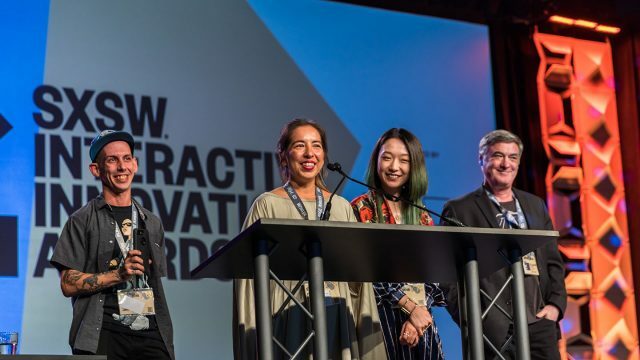 Induction into the SXSW Interactive Festival Hall of Fame occurs as part of the SXSW Interactive Innovation Awards ceremony on Monday, March 11, 2019. We’re excited to announce Kimberly Bryant as the 2019 Hall of Fame Inductee. Learn more about her and the past 7 Hall of Fame Inductees below. 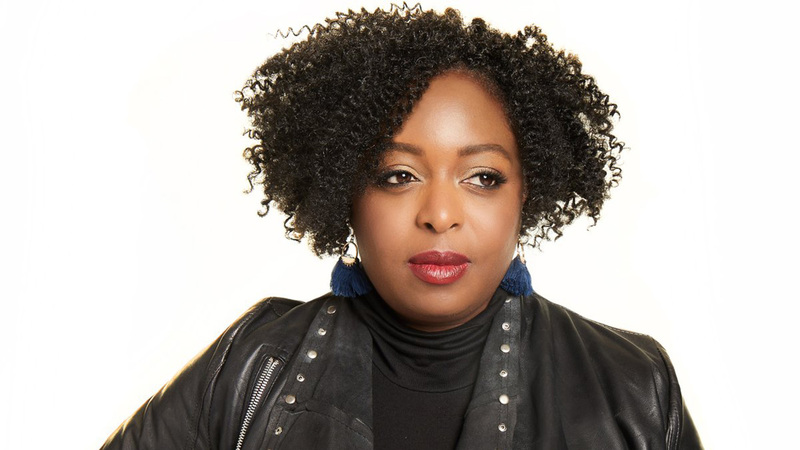 Kimberly has been nationally recognized as a thought leader for her work to increase opportunities for women and girls in the technology industry and has received numerous awards for her work with Black Girls CODE. Kimberly has been awarded the prestigious Jefferson Award for Community Service for her work to support communities in the Bay Area, named by Business Insider on its list of “The 25 Most Influential African-Americans in Technology”, and named to The Root 100 and the Ebony Power 100 lists in 2013. Kimberly was named a White House as a Champion of Change for her work in tech inclusion and for her focus on bridging the digital divide for girls of color and received an Ingenuity Award in Social Progress from the Smithsonian Institute. She has been identified as a thought leader in the area of tech inclusion and has spoken on the topic at conferences nationally and internationally such as the Personal Democracy Forum, TedX Kansas City, Platform Summit, Big Ideas Festival, SXSW, and many others. Eli Pariser is the President of Upworthy and GOOD Worldwide. He has dedicated his career to figuring out how technology can elevate important topics in the world — as an author, an online organizer, and most recently, as a co-founder of Upworthy. Pariser served as the executive director of MoveOn.org from 2004-2009, growing membership to more than 5 million members and raising over $120 million. Pariser also co-founded Avaaz.org, which is now the largest online advocacy organization in the world. In 2011, Pariser published the bestselling book The Filter Bubble: What the Internet Is Hiding from You. Pariser founded Upworthy with longtime collaborator Peter Koechley in March 2012. The pair set out to prove once and for all that what’s important can be incredibly popular, even if what’s popular isn’t usually important. Kara Swisher is the executive editor and co-founder of Recode, host of the Recode Decode podcast, and co-executive producer of the Code Conference series. Swisher also co-founded Revere Digital, an independent media company that housed Recode and Code, with Walt Mossberg. It was acquired in 2015 by Vox Media. Recodes’s flagship conference, Code, has hosted interviewees such as Bill Gates and Steve Jobs as well as most of the leading players in the tech and media industries. It is considered one of the leading conferences focused on the convergence of tech and media industries. Before Recode, Swisher and Mossberg created and ran the All Things Digital website and the D conference for The Wall Street Journal. Baratunde Thurston is a supervising producer at The Daily Show with Trevor Noah on Comedy Central where he oversees digital expansion. A New York Times bestselling author, activist, comedian, and entrepreneur, Thurston has an uncanny ability to crack the shell of any uncomfortable topic through a personal, accessible, and intelligent point of view. His work has found expression in the pages of Fast Company, on the screens of HBO, Comedy Central, CNN, MSNBC, BBC, on NPR and countless podcasts, including Our National Conversation About Conversations About Race. He has hosted shows on Discovery’s Science Channel, Yahoo, AOL, YouTube, and Pivot TV, where he was co-host of TakePart Live. He is a co-founder of Jack & Jill Politics, has served as Digital Director of The Onion, a Judge for the Knight Foundation News Challenge, an affiliate at the Berkman Center for Internet and Society, and as a director’s fellow at the MIT Media Lab. He authored the New York Times bestseller How To Be Black, and is a co-founder of Cultivated Wit which produces Comedy Hack Day. Baratunde has been honored by the ACLU of Michigan “for changing the political and social landscape one laugh at a time,” nominated for the Bill Hicks Award for Thought Provoking Comedy, and has been named on The Root’s list of the 100 most influential African Americans, as well as Fast Company’s 100 Most Creative People In Business. He has advised the Obama White House and serves on the National Board of BUILD. Indeed, Baratunde has been a beloved part of SXSW Interactive for many years, from hosting Fray Cafe in 2008, to hosting the Interactive Web Awards in 2009, to a perennial favorite speaker from 2010 – 2014, including the Keynote “How to Read the World” in 2012. Come celebrate Baratunde Thurston’s induction into the SXSW Interactive Hall of Fame with us at the Interactive Innovation Awards ceremony, Tuesday, March 15, 2016 in the 6th floor ballroom of the Hilton Austin Downtown. Tamara Hudgins serves as the Executive Director of Girlstart whose mission is to increase girls’ interest and engagement in STEM through innovative, nationally-recognized informal STEM education programs such as Girlstart After School programs and Summer Camp. Founded in Austin, Texas, Girlstart is the only community-based informal STEM education nonprofit in the nation that is specifically dedicated to empowering and equipping girls in STEM through year-round STEM educational programming. Since Hudgins joined in 2009, Girlstart’s impact has grown from reaching 1,500 girls, teachers, and family members each year to over 15,000. Additionally, the Girlstart After School has grown from 4 to 45 programs, has been recognized as the most robust program of its kind in the nation, and is now replicating regionally. Girlstart Summer Camp, the second core program, has expanded from 8 to 22 week-long programs each summer, with replication outside Austin as well as in six states nationwide. Both Girlstart After School and Girlstart Summer Camp have been recognized by Change the Equation in the STEMWorks database, with Girlstart Summer Camp further recognized as one of four “exemplary” and “highly scalable” STEM education programs in America. Currently serving as Director of the MIT Media Lab in Cambridge, Joi Ito posses a new media career that spans an impressive variety of sectors. He is a Board Member of The Sony Corporation, The New York Times Company, The MacArthur Foundation, The Knight Foundation, Creative Commons and co-founder and board member of Digital Garage an Internet company in Japan. He is on board of a number of non-profit organizations including The Mozilla Foundation and WITNESS. Ito has created numerous Internet companies including PSINet Japan, Digital Garage and Infoseek Japan and was an early stage investor in Twitter, Six Apart, Wikia, Flickr, Last.fm, Kickstarter, Path and other Internet companies. He is the Guild Custodian of the World of Warcraft guild, We Know. He is a PADI IDC Staff Instructor, an Emergency First Responder Instructor and a Divers Alert Network (DAN) Instructor Trainer. Ito was named by Businessweek as one of the 25 Most Influential People on the Web in 2008. In 2011, he was chosen by Foreign Poicy Magazine as one of the “Top 100 Global Thinkers.” In 2011, he received the Lifetime Achievement Award from the Oxford Internet Institute in recognition of his role as one of the world’s leading advocates of Internet freedom. In 2011 and 2012, Ito was chosen by Nikkei Business as one of the 100 most influential people for the future of Japan. Ito received the degree of Doctor of Literature, honoris causa, from The New School in 2013. 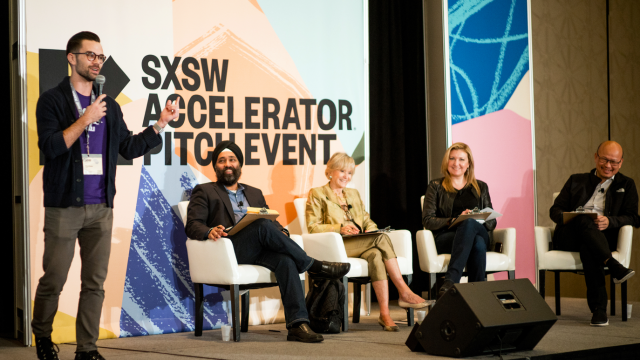 For 2013, we welcomed danah boyd as the second member of the SXSW Interactive Hall of Fame. boyd is a Senior Researcher at Microsoft Research, a Research Assistant Professor in Media, Culture, and Communication at New York University, a Fellow at Harvard’s Berkman Center for Internet and Society, a Research Fellow of the Born This Way Foundation, and an Adjunct Associate Professor at the University of New South Wales. Her research examines the intersection of technology, society, and youth culture. Currently, she’s focused on privacy, youth practices and cruelty, and human trafficking. She co-authored Hanging Out, Messing Around, and Geeking Out: Kids Living and Learning with New Media. boyd is currently working on a new book titled, It’s Complicated: The Social Lives of Networked Teens. Web design pioneer Jeffrey Zeldman became the first ever inductee to the SXSW Interactive Festival Hall of Fame at the 15th Annual SXSW Interactive Awards Ceremony on Tuesday, March 13, 2012. Dubbed the King of Web Standards by Business Week, Zeldman publishes A List Apart “for people who make websites,” a leading journal of web design thought since 1998. He is also the founder and executive creative director of Happy Cog™, a design agency with studios in New York, Philadelphia, and San Francisco. He has written two books, notably the foundational web standards text, Designing With Web Standards 3rd Edition, with Ethan Marcotte.